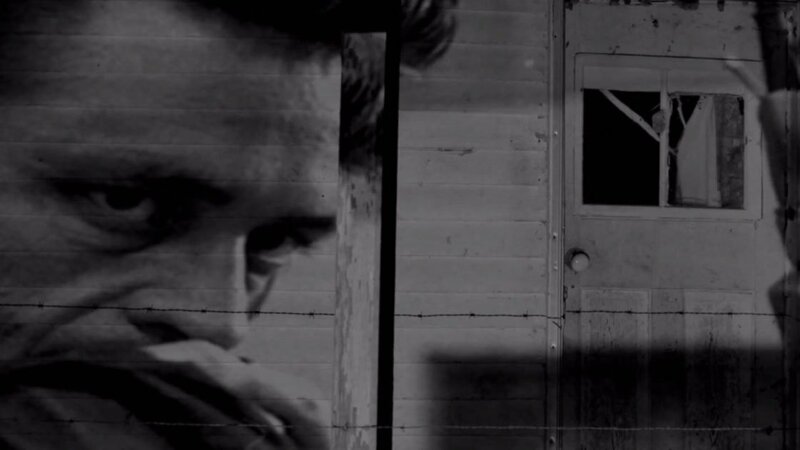 Legacy Recordings has just released a vintage-styled music video for Johnny Cash's "She Used To Love Me A Lot," a track from the forthcoming Out Among The Stars. The video, shot primarily in black and white, matches the morose mood of the song, but doesn't offer a literal interpretation of the lyrics. Instead, it follows a pan-American journey that sees the darker side of the modern world. Impoverished people and ramshackle houses whiz by, seen from the window of a moving Cadillac. Watch the video above. Interestingly, the mix of the song in the video was entirely new. Neither the polished "Countrypolitan" album mix nor the recently released Elvis Costello remix are featured in the clip. Rather, a new mix of the song is used, with barebones production and sparse instrumentation. Out Among The Stars was recorded in the early '80s, but was scrapped when Cash left Columbia Records in 1985. The album was recently discovered by Cash's son and will be out March 25th. For more music and videos, check out Johnny Cash's Zumic artist page.